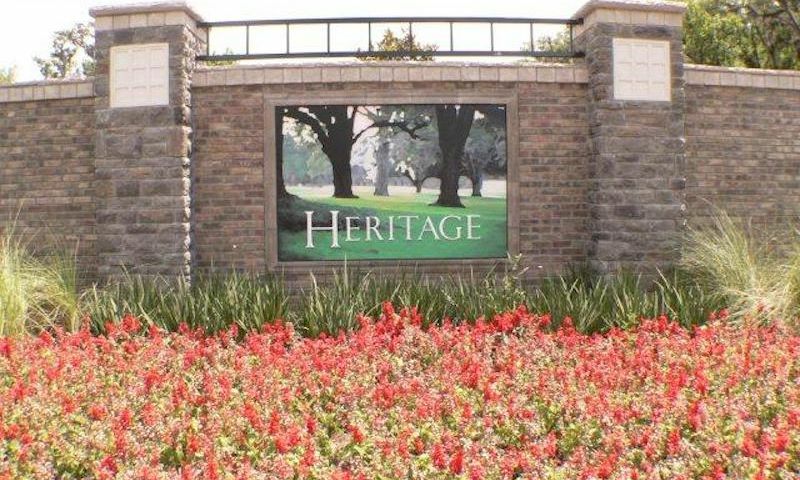 Heritage is a 55+ gated community in Hernando, Florida. Heritage features single-family homes by three local builders, customizable with options such as extra garage space or a private pool. Residents of this quiet enclave appreciate the state’s natural beauty with a nature trail and preserve right in the neighborhood. Citrus County offers endless opportunities for outdoor recreation, with numerous waterways and wildlife areas available for boating, fishing, and hiking. Several golf courses are also in the area, making Heritage a great choice for active adults looking to spend more time outdoors. Built with an appreciation for Florida’s natural resources, Heritage features a half-mile nature trail through a preserve in the community’s center. Residents enjoy walking this path as well as taking fishing trips to the nearby waterways. The homeowners' association (HOA) helps facilitate a leisurely lifestyle by providing a maintenance-free environment. A monthly fee pays for 24-hour security, underground utilities including natural gas, lighted streets with curbs and sidewalks throughout, cable TV, and county water and sewer. Construction of Heritage began in 1986 and will include 70 homes once completed. These single-family homes range in size from 2,636 to 3,974 square feet and have two to four bedrooms, two or three bathrooms, and an attached two or three-car garage. Homebuyers can choose from ten different floor plans by three local builders. Popular features include breakfast nooks, gas fireplaces, and tiled showers. Heritage is located in a peaceful area referred to by locals as “The Florida Alps.” With elevations up to 200 feet above sea level, flooding is not a concern among residents of this area. A shopping center at Heritage’s entrance serves the community with restaurants, a coffee shop, salon, and more. Several fantastic golf courses are nearby, including Skyview Golf Course, Brentwood Farms Golf Club, Citrus Hills Golf & Country Club, and Twisted Oaks Golf Course. Citrus County is also an outdoorsman’s dream with miles a natural preserves open for hiking, biking, and fishing. Homosassa River was even named as one of the twelve best fishing spots in North America by Sports Afield. Active adults looking for outdoor recreation and quality homes will find a lot to love at Heritage in Hernando, FL. There are plenty of activities available in Heritage. Here is a sample of some of the clubs, activities and classes offered here. Construction of Heritage began in 1986 and will include 70 homes once completed. Single-family residences by Sweetwater Homes range in size from 2,636 to 3,345 square feet and have two or three bedrooms, two bathrooms, and an attached two or three-car garage. Popular features include breakfast nooks, gas fireplaces, and tiled showers. Construction of Heritage began in 1986 and will include 70 homes once completed. Single-family residences by Rusaw Homes are 2,849 square feet and have three bedrooms, two bathrooms, and an attached two-car garage. Popular features include breakfast nooks, gas fireplaces, and tiled showers. Construction of Heritage began in 1986 and will include 70 homes once completed. Single-family residences by Mitch Underwood Construction, Inc. range in size from 2,863 to 3,974 square feet and have three or four bedrooms, two or three bathrooms, and an attached two-car garage. Popular features include breakfast nooks, gas fireplaces, and tiled showers.